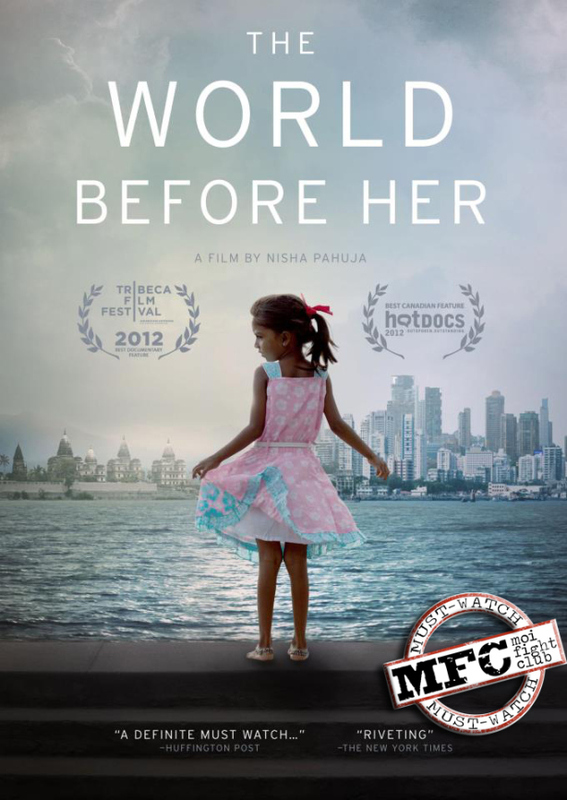 After doing the fest rounds, Nisha Pahuja’s critically acclaimed documentary, ‘The World Before Her’ is all set to release on May 16th, 2014. Filmmaker Anurag Kashyap is presenting it and PVR Directors Rare is releasing the film. Moving between the worlds of a Durga Vahini training camp and the beauty boot camp of the Miss India Pageant, the film is a powerful story that could not have come at a better time. Some of us managed to watch the film earlier and we have put it in MFC’s Must Watch recco list. Click here to read our recco post on the film. We are posting two clips from the film – one from the film, and one that did not make the cut. We also got Nisha to write on these two clips. Director’s Note – I remember when Pooja told me the story of almost being killed at birth for being a girl..that moment became a turning point for me in terms of the focus of the film. I knew it had to be about the struggles that so many Indian women continue to face. It also changed the way I looked at Miss India–suddenly it was no longer passe or just simply derogatory..it was so much more complex. I had to ask myself “Given the Indian context, can I disregard my Western prejudices and see a beauty pageant as “empowering.” It’s something I still grapple with..
Director’s Note – When I began the research in 2008, I was determined to find a young woman from a village who harboured dreams of becoming a Miss India. Somehow I did. Meet Tulsi – achingly lovely..a symbol of “aspiring India.” Tulsi’s story was incredible, she comes from a village in UP that got electricity in 2009, and that only intermittently. Her grandfather was a freedom fighter and and there was a temple that had been built in his honour. Tulsi’s mother did not want to get married but was forced to. 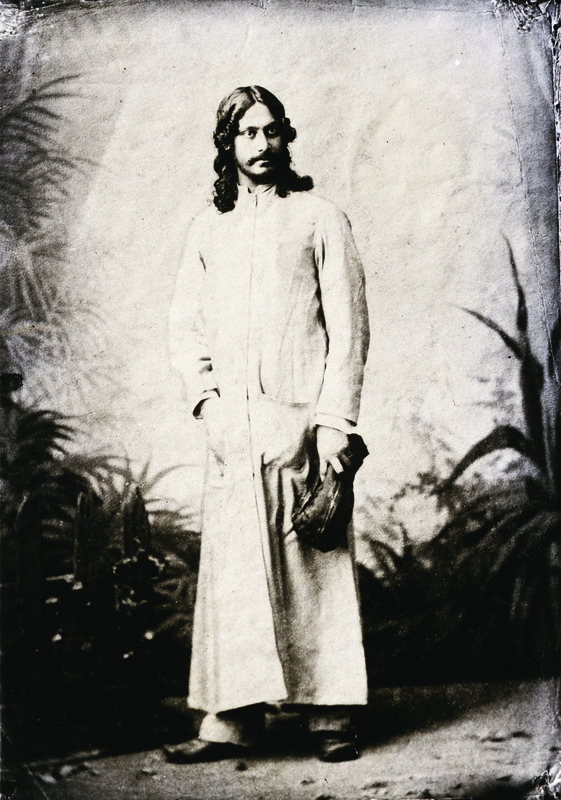 So in an act of defiance on her wedding night she chopped off all her hair and began to dress like a man. Somehow she was accepted. She decided she would allow her daughter to do as she wished. When Tulsi told her parents she wanted to move to Bombay and pursue her Miss India dream, they sent her off with the money they had been saving for her dowry. The Miss India team never responded to her application or her pics and when I last saw her in 2010 she was having a hard time and it seemed clear to me that she was being exploited, but didn’t want to talk about it in too much detail. I still get the odd email from her but she never responds when I write her back. I had always wondered how her grandfather, who had fought for India’s freedom would feel about Tulsi’s dream of winning a beauty pageant. Was this the freedom he was prepared to die for? The makers of the film are also running a kickstarter campaign with the goal of taking the film to a wider audience – schools, colleges, public screenings. Click here to read about their plan and do contribute if you want to support the initiative. The aim is to raise US$ 50,000 out of which they have already got $ 41,000. Now they have just a week left to achieve the target. So if you feel for it, do contribute generously. The film needs your support. Internet is a great place, especially if you are looking for under-rated gems. Varun Grover stumbled upon this documentary called The World Before Her. Mihir Fadnavis got in touch with the director and we managed to watch the film. So over to Fatema Kagalwala and her ramblings on this stunning and important film. We are putting this in our “Must Watch” film recco List. Watch it. We love living in extremes. Grey areas aren’t appealing because they force us to think. They are meant for individual assessment whereas black and white are fit for mass consumption. So we’ve draped ourselves with stark definitions of tradition and modernity and live a bipolar existence, merrily swinging between both. Sometimes, we find solace in middle ground but one that is obfuscated with the overpowering implications of the extremes that are tradition and the modernity. Prachi, Ruhi, Ankita, Pooja – the central protagonists, of ‘The World before Her’, a stunning, award-winning documentary by Nisha Pahuja, are all products, or shall we say victims, of our collective need to ideologically belong somewhere, even if it is within an ideology that seeks to subjugate them. They are perfect lambs for factories manufacturing daily definitions of the traditional and modern according to their convenience. World 1 – Miss India contest 2011 20-day training camp. Of beauty, botox and bikinis. World 2 – Vishwa Hindu Parishad’s Durga Vahini Camp. Of Hindutva, weapon training and military discipline. Nisha takes us through both the camps, laying bare their belief system, process and the little dreams behind it all. We see training procedures up-close and peek into the lives of trainees. What makes the ambitious Ms India contestants tick and what drives the fierce Durga Vahinis? Through a thoughtful juxtapositioning, the two opposite worlds collide and before we know, melt into one voice. On the face of it, both espouse contrarian views on female identity. Beyond the façade of the titles of ‘modernity’ and ‘traditionalism’, both bind the very subjects they aim to set free, victimising the very subjects they aim to empower, treating the women they are pretending to liberate as cattle to be branded. The beauty of it all is the film doesn’t state it, but makes it clear with an intuitive stitching together of the narrative. Nisha delves into both the worlds with care, aware of the mine of uneasy answers she is exploring, mindful of the dust her questions will raise. There is no attempt to impose a comment or paint a particular ideological picture. What makes the documentary a brilliant experience is the careful expose of truths and myths we live in, and the questing female mired in it. In Ruhi, Ankita and Pooja, we see semi-urban, middle-class young women, very well aware of their social status as females, out to beat the system even if it is through succumbing to it. They are aware of the compromises they have to make and are fine with the cost to their dignity, if it transforms them, like Pooja puts it, ‘from a person to a personality’. The irony of their entire quest for identity within a system out to objectify them, seems to be lost on them. To my mind, Pooja Chopra, the girl whose father insisted on killing her at birth because she was female, almost seems like a tragic figure, bitterly fooled by an arrogant system laughing at her for believing she had carved a separate identity of her own and on her own terms. Ruhi, a young 19 yr old, feels obliged to her parents for bringing her up and feels the need to pay them back by becoming ‘something’, so that their creation is worth it…she never questions the route to fame she has chosen. Nor are her future plans of marriage and children at an appropriate age seem to clash in anyway with her present teen plans of becoming a beauty queen. ‘I can do all this now as I am young, later I won’t be able to do all this’, she says (quote not verbatim). There is no ideology at work here nor a tussle between the old and new. It is simple conditioning speaking but Ruhi doesn’t question any of it, for her her parents support for her contest participation is an empowering, liberating sign of modernity enough. For these women, the shine of glamour and the pain of centuries of repression are too blinding to see anything under or beyond. At the other extreme is Prachi, the alpha female trainer at Durga Vahini, who has found a purpose and outlet in Hindu fundamentalism to escape the vulnerabilities her gender status thrusts on her. She is a single child of an orthodox Hindu family who feels her father is justified in hitting her (even brutally) because as a female child he let her live. She loves the power being a Durga Vahini trainer gives her, flaunts her dislike for ‘girlie girls’, is proud of being tough and is absolutely against marriage. Like the Ms India contestants, this Aurangabad-based girl too is looking to establishing her worth as a female in all-male world, but by embracing and perpetuating the orthodox mores of Durga Vahini. Unlike the other girls though, she is fully aware that the system she advocates aims at curbing her own freedom, yet, it remains her chosen vehicle to empowerment. Yet, I wondered if there was a glint of wishful-ness, an unacknowledged longing behind the façade of derision as she watched the Ms India contest. I don’t know if it was the artfully calculated shot lingering on her tad longer or my over-wrought zeal to understand her better or an actual fact. I read criticism of the film saying this isn’t the reality of entire India and that the film does not reflect upon the middle path. It is possible I imagined the subtle jingoism in the criticism, but that apart, what it missed was the fact that these two extremities inform the lives of every woman (and men too) traversing the so-called middle path. Maybe they exist but I am yet to meet a person truly liberated from gender complexities and its socio-economic implications that the film so starkly defines. In fact, I saw Prachi, Ruhi, Ankita and Pooja as sharp and accurate spokespeople of the entire India, irrespective of class distinctions. Trapped in the half-baked definitions made by a commerce-driven, power-hungry, alpha male world, they languish confused in the debris of the shattered female identity they struggle to resurrect. Just like you and me. As I mull over the needs of these girls, (and they are very familiar, they are around me and inside me) I see their quest with compassion. They have little choice other than adhering to a corrupt system to beat another equally corrupt one, to gain whatever semblance of self-respect they can garner for themselves. Patriarchy hasn’t left much for women to call their own or celebrate in the truest sense, has it? And if that wasn’t enough we have religious fundamentalism adding to the fire. Nisha doesn’t shy from showing news clips of Hindu fundamentalists beating up women in pubs and iterating the fact that Hindu terrorism is a bigger threat to India than Islamic fundamentalism. Not only is this a well-informed, deeply introspective, objective, exploratory documentary but it is very brave as well. One simply wishes the film does not get targeted by pressure groups if and when it comes to India. As I watched the documentary and later, I wasn’t surprised by the ironical truths about female existence staring at me. It was all seen before, read before, said before. Yet, I couldn’t define the film in words and that is not because of the complexity of the film but of its theme. Which at one level is almost self-explanatory, but dig deeper and it will leave you distraught at the number of knots or rather untied ends it waves at you. Why have we made the question of women’s identity so complex, almost impossible to unravel? Is it because we fear if we find the answers the world around us will no longer be recognisable? We are all slaves to gender equations and roles. Breaking free is scary because it means starting from scratch for human existence. Without the context of male and female roles and boundaries where would we be? What would we adhere to and what would we fight? Coz isn’t that exactly what gives all of us our purpose? The ‘shoulds’ our gender is supposed to wear? We either wear them with pride or fight them with gusto, satisfied in the purpose we’ve found to base our lives on. We then spend our entire lives empowering the very cycle the protagonists of this film believe/imagine they are fighting. We are no different from them, really. Gender politics apart, men and women, we are all in this together and for once, it isn’t a happy thought. I realise I can go on writing about this film, such is the subject matter and beauty with which the story has been told. As I pull down the windows on my brains because I really want you to watch it with a fresh curiosity, let me leave u with a few moments that struck me with their irony, pathos and horror. The Miss India contestants parading in hip-length sacks and denim shorts in a round that judges who has the hottest legs. Marc Robinson, the organiser, laughing off the indignity of the sack-round. News clips of Hindutva louts beating up women in pubs. Little girls at Durga Vahini camps being taught India and Hindutva was under threat from two main sources – Islam and Christianity. Little girls lapping it up and regurgitating it like it was the only truth. Chinmayee, a smart 14-yr old, proudly declaring at the end of the camp, ‘No, I don’t have a single Muslim friend. I did when I was younger but then I didn’t know that we are different.’ I didn’t know if I felt horror for India or pity for the little girl. – FB page is here. – If you are in Canada or USA, you can order it here and here.